Team PokerStars Pro Johnny Lodden patiently discusses his tax issues with the Norwegian authorities in a blog titled Waiting for My Spots... and the Tax Man. Despite a favorable ruling in a complicated case, Lodden had to recently cancel a family vacation to Thailand since he needs to stick near to home until the case is fully resolved. And taxes aren't the only thing Lodden is being patient about, either. 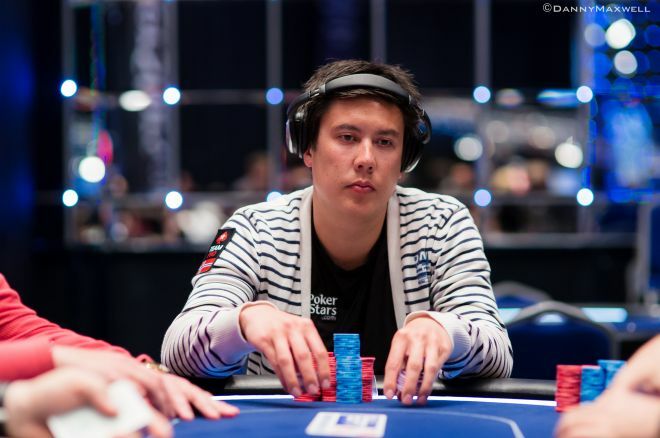 Lodden recently cashed in the European Poker Tour London (EPT) Main Event and High Roller, crediting patience as one of the keys to his success. Head to the PokerStars Blog to read more about the importance of patience in poker and life. Each week, Full Tilt has a different game of the week featuring a big Sunday tournament and a variety of special promotions surrounding the selection. This week, the "game of the week" is six-card Omaha — a game that is just like Omaha, but, you guessed it, you receive six cards instead of the traditional four that you normally get. Gareth Chantler talks about how to play this game in a two-minute video on the Full Tilt post titled Game of the Week, Six-Card Omaha Tips and Strategy. In addition to learning how to play, the blog also talks about completing an easy quiz before Dec. 4 for your chance to win a ticket to the $109 Game of the Week tournament on Dec. 7. Check out the Full Tilt Blog to learn more about the game of the week, six-card Omaha. Partypoker strategist Josef Rantamaki once again is giving away free tips on his partypoker blog titled The Ultimate Guide to Understanding Hand Ranges. Understanding hand ranges is crucial to any player's success, especially in no-limit hold'em. In an eight-minute video, Rantamaki discusses tips on how to apply hand ranges to your opponents and how to apply this to your post-flop game. Learn more on the partypoker blog about understanding hand ranges.